If you’ve ever wanted wood siding but not wanted the upkeep and maintenance, James Hardie siding is the perfect choice for your Colorado Springs home. Home siding from James Hardie is created with cellulose fiber, cement and sand to give it durability, stability and sturdiness. Thanks to the make-up, the siding is the best at enduring extreme weather, including snow, ice, rain, wind or sun – perfect for the Colorado climate. 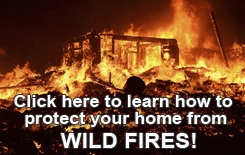 It is perfect for protecting homes in and around the Colorado Springs area. You can also opt for “Color Plus” technology – we’ll be happy to explain more about that so you can add color to your Colorado home siding. Windy and cold climates – It is perfect to work against the constant temperature changes in locations with cold weather. The fiber cement helps to keep the siding strong, unlike other siding, and can even help resist winds that are hurricane-force. Resisting fire – The material is non-combustible and helps to prevent flames spreading too much. The fiber cement is fire-rated construction accredited..
Resisting pest damage – While it looks like wood, it doesn’t have the same components that attract pests, like termites and other insects that eat and damage wood. Protection against impact damage – Most types of siding will break and crack under impact, even against hail or rain. The fiber cement and other strong materials in James Hardie siding helps to protect against that. Holding up in humid but wet areas – Unlike other types of siding, James Hardie siding can stand against the humidity and won’t crack or decay. The fiber cement helps to protect it against shrinking and widening under the weather conditions. Color Plus – James Hardie siding comes with Color Plus technology to make your home look great. 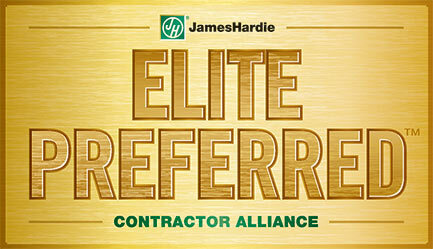 Got a question about James Hardie home siding? We’ll be happy to answer any questions you may have about fiber-cement siding and James Hardie. Feel free to contact us or call 719-433-0300. What is Hardieplank siding made of? Hardiplank® only uses the finest of all raw materials. Finely-ground sand, premium cement and natural wood (cellulose) fibers are combined with water and then cured through a special manufacturing process so it becomes the most durable form of siding known, which makes it the perfect siding for the Colorado Springs climate. Will I need to paint Hardiplank Siding? Siding Pro, Inc. installs James Hardie color plus pre-finished siding and also offers an on-site paint finish process installing the JamesHardie pre-primed siding in the following manner: we paint a second coat of primer using Sherwin Williams “Loxon” primer with a finish coat of Sherwin Williams “Duration” paint that has a lifetime finish warranty from Sherwin Williams that guarantees it will not peel, crack or flake. What size and shape does Hardiplank come in? The Hardiplank comes in boards that are 12ft long but in different widths and styles. We usually install 8 ¼ inch width boards with 7 inch exposure, which works for 90% of our customers. The HardiPanels come in 4ft by 8ft. No. Hardiplank is designed to keep the moisture out. There is a mildicide coating that will protect against the growth of mold. While dirt splashed on the siding can grow mold, this is easily washed off with water. Will the Hardiplank siding be installed over my existing siding? In some cases we will be able to install the siding on top of your existing siding. However, this is only if your current siding is flat and in a good condition. Where the siding is rotted or turned soft, it will be removed first. 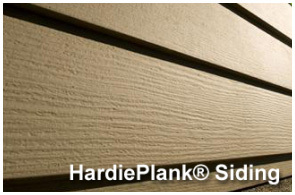 Hardiplank siding comes with a 50-year manufacturing warranty. The coating warranty is for 25 years. 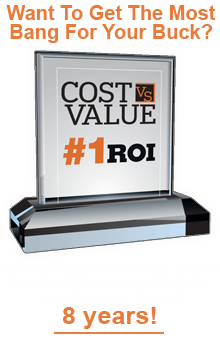 Siding Pro has a 2-year guarantee on the labor. Will the Hardiplank weight be a problem? Definitely not. The weight of the siding is just 2.3lbs per sq.ft, which is about the weight of a piece of sheetrock 5/8 in size. The siding is placed on walls that are load-bearing. So far, 5.5 million homes have had Hardieplank siding installed and there have been no problems. How is Hardiplank siding better than vinyl siding? Vinyl siding can’t provide the lifetime solution like Hardiplank can. Hardiplank is not susceptible to rotting, burning or warping. It looks and feels just like wood and will not contract or expand in temperature. Will you replace the soffits with the Hardiplank siding? If the condition of the soffits is still good, we will apply a coating so that they match your new siding. If the condition isn’t good, we can make new ones with HardiSoffit. Will weather or insects damage my Hardiplank siding? Hardiplank siding isn’t wood, so termites and other insects cannot get into it. Hardiplank is also durable against various weather conditions, including rain, hail and changing temperatures. Can I get a discount on my insurance with James Hardie siding? Because James Hardie products are flame resistant, some insurance companies do offer discounts on the fire insurance. Do I need to be aware of any health or environmental concerns? No. 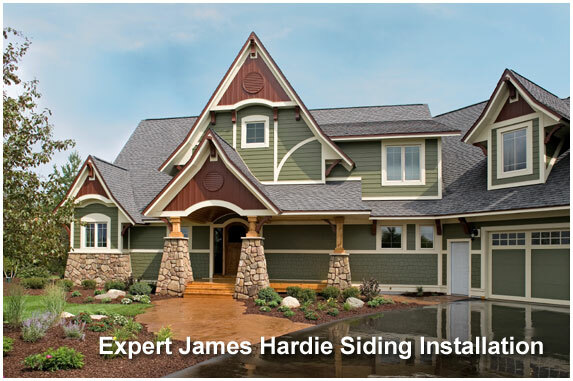 James Hardie siding is a safe product and completely environmentally friendly. It contains no formaldehyde, glass fiber or asbestos.